According to a report published by the independent Egyptian Center for Economic and Social Rights (ECESR) on Monday, a total of 1,736 protests took place in Egypt over the course of 2016. This figure represents a decrease in the number of protests that the ECESR reported in 2015, when a total of 1,955 protests took place nationwide. The ECESR report outlines that in 2016 the state’s new austerity measures, tax hikes and associated economic policies contributed to increased pressures and hardships on Egyptians, pushing many citizens to protest. However, the continued imposition of restrictive legislation regulating the right to demonstrate – along with security crackdowns on dissent – have likely contributed to a decrease in the total number of protests this year. According to the ECESR acts of protest can be divided into three distinct categories: social, economic and labor protests. Based on this breakdown, the ECESR reported that the majority of protests which took place this year can be categorized as labor protests, numbering 726. The second highest category was social protests, with 633 taking place across the country. The report also states hat 377 economic protests took place nationwide. February saw the largest number of recorded labor and workplace protests, with 108 taking place. Government employees carried out the greatest number of labor actions throughout the year, engaging in 478 acts of protest, followed by the public then the private sector, which witnessed 133 and 107 protests, respectively. According to the ECESR report, the high number of protests among government workers and employees was largely triggered by the passing of the controversial Civil Service Law, a revised version of which was approved this year. The law and imposes a caps on wages and bonuses. Employees from the Health Ministry were at the forefront of labor protests in the governmental sector this year, engaging in 159 demonstrations. This was followed by the Education Ministry’s employees who took part in 74 protests. Looking at the specific grievances, the greatest number of industrial actions (379) were in protest against working conditions. This was followed by protests over demands for financial compensation, amounting to 368, followed by 367 protests over claims of corruption and financial irregularities. Protests over demands for employment amounted to 153, while 139 protests took place over disputes pertaining to contractual agreements. 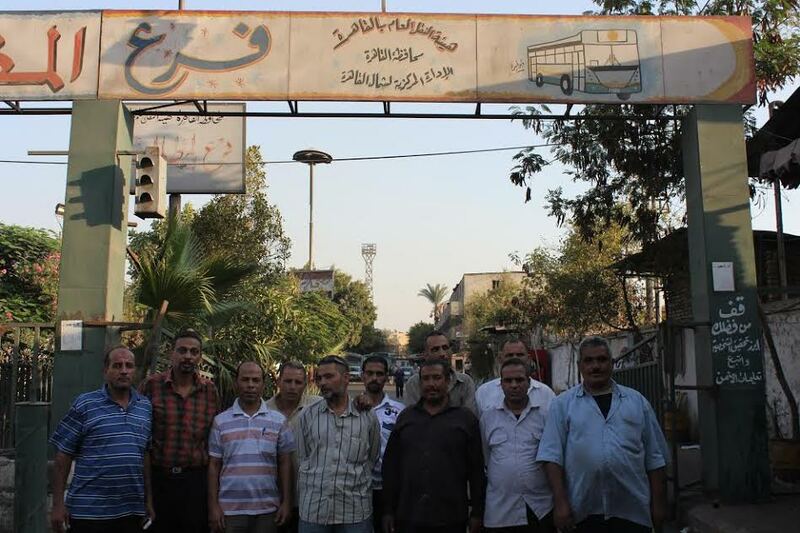 Cairo was the governorate that accounted for the largest number of labor protests in 2016, with 454 industrial actions taking place, followed by Sharqiya with 128, and Gharbiya with 119 labor protests. According to the ECESR, the category of social protests are those which are not based on, or motivated by, economic factors. Accordingly ‘social protests’ include actions organized by members of residential communities, students, and others. Of the 633 social protests witnessed across Egypt this year, the majority took place in September – with 86 recorded that month. The main motivating factors behind social protests this year were corruption and negligence, with citizens organizing 366 such protests. Education-related protests followed, with 218 taking place this year, as well as 77 protests organised over security-related demands. Out of the 377 economic protests recorded this year, May saw the highest incidence with 59 taking place. According to the ECESR, economic protests are those triggered primarily by the government’s monetary and fiscal policies, which directly impact the economic interests of different categories of people, particularly small business owners. Within all three categories, the most common form of dissent this year was the protest rally, which included protests and marches, reaching a total of 1,210. This was followed by labor strikes or work stoppages, of which 282 incidents were reported, followed by 134 sit-ins or sleep-ins. Finally the ECESR reported 84 incidents where participants inflicted self harm, including suicides and attempted suicides. Local residents were the demographic which carried out the highest number of protests this year (457). Manual workers and laborers partook in 359 industrial actions, civil servants participated in 167 protests, students in 160, transport workers and drivers were involved in 132, teachers participated in 75, doctors in 67, nurses in 71, shopkeepers in 41 while the unemployed and graduates were collectively involved in 62 protests. The ECESR’s monthly and annual protest figures are based on information published on news websites and portals. They have been issuing periodic and annual reports on protests in Egypt since 2012. The latest report covers the period from January 1 until December 20. The ECESR will follow up this publication with a more detailed annual report on 2016 protests in February 2017. Heba Afify | Egyptians are talking about nationwide protests on 11/11, but who is behind the calls?